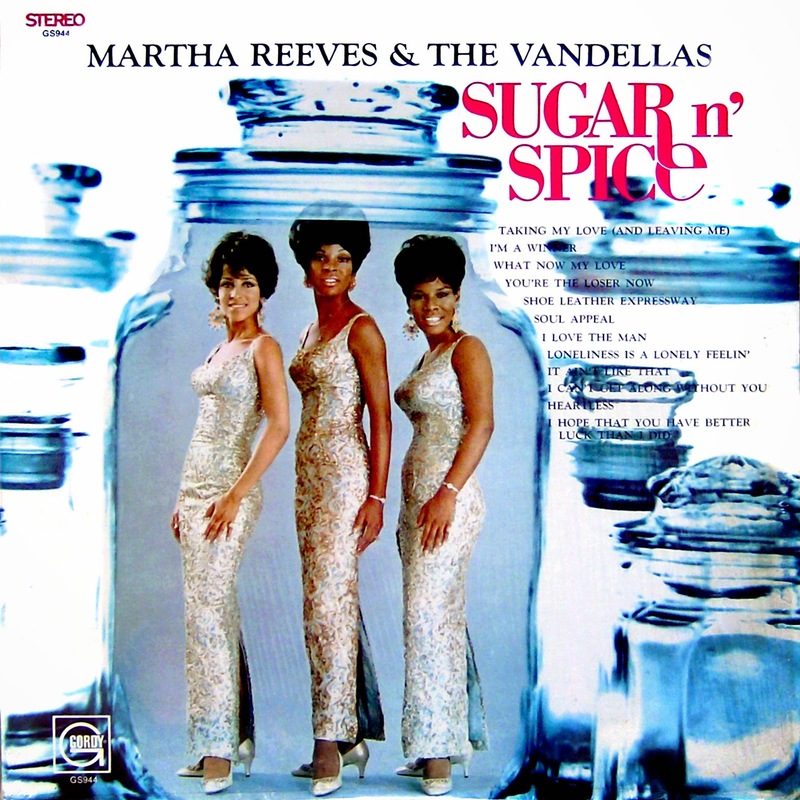 *The first single where they were credited as Martha Reeves and The Vandellas. 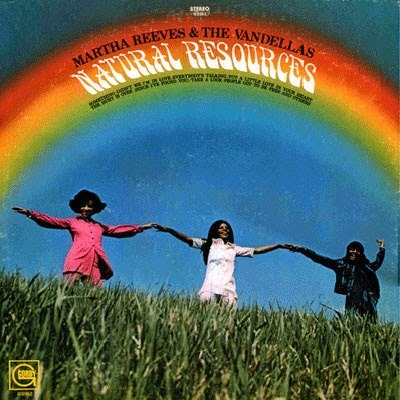 *The first album where they were credited as Martha Reeves and the Vandellas. **Although new member and former Velvelettes member Sandra Tilley is featured on the album cover, her vocals do not appear on the album. 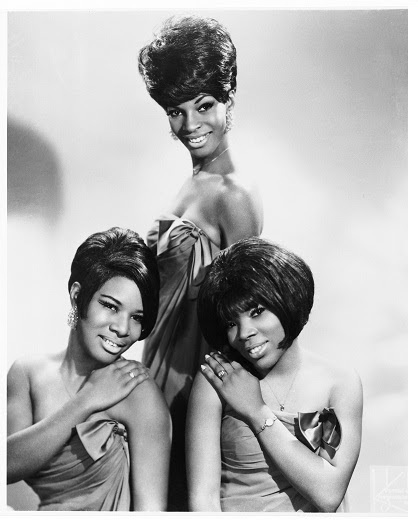 Instead, tracks were used with Rosalind Ashford, Lois Reeves with additional vocals accompanied by The Andantes and Syreeta Wright. ***This album marked a return from lead singer Martha Reeves, recovering from a time in a mental institution after an addiction to painkillers nearly wrecked her. ****Many of the tracks on the album were originally assigned to Diana Ross before being reassigned to Martha Reeves & The Vandellas. 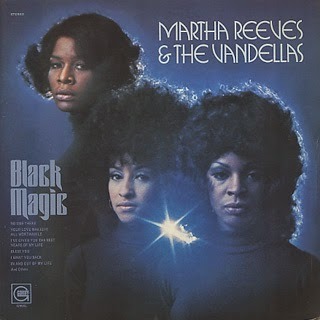 Aggressive yet soulful, exuberant yet classy, Martha & The Vandellas stand as one of the greatest groups of all time and recorded some of the toughest rock 'n' roll to ever come out of the Motown factory. 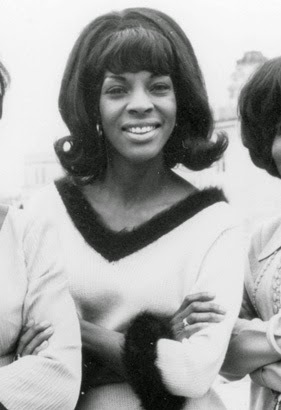 The Vandellas influenced scores of female artists and every successive girl group generation, from The Supremes themselves to Destiny's Child. 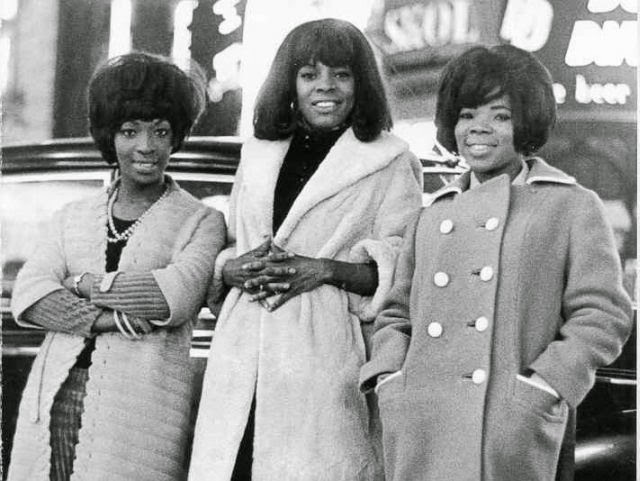 Their vocals have graced records from J.J. Barnes to Marvin Gaye, and they helped launch the stratospheric careers of the genius Holland-Dozier-Holland songwriting and production team They have been called Motown's only true female soul group, and with good reason. They are one of the most successful raw-sounding groups of all time and brought a gospel approach to the Motown mansion that met with mainstream appeal. They were soul sisters with a message and sisters that could also work a groove. Alabama-born and Detroit-raised Martha Reeves began doing solo work in clubs as Martha LaVelle. 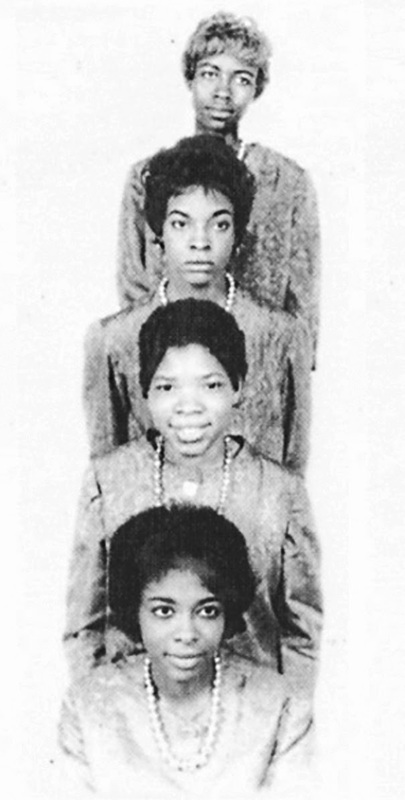 Then she formed The Del-Phis with her school friends Gloria Williams, Rosalind Ashford, and Annette Beard while still in her teens in the late '50s, influenced by her church upbringing and schooled in the sounds of gospel greats such as The Five Blind Boys, The Caravans, The Soul Stirrers, and Clara Ward. She was also inspired by classical music. Around this time, Abraham Silver vocally coached Martha, and it was this same person who would later lend his vocal teachings to other Motown giants such as The Supremes' Florence Ballard and Mary Wilson and The Miracles' Bobby Rogers. The Del-Phis performed at local gigs and backed up fellow Detroit singers such as J.J. Barnes and Leon Peterson before being picked up by the Chess subsidiary Checkmate Records. There, they recorded one 45, the Martha-led (and co-written), piano-propelled, energetic "I'll Let You Know" (Chess 1005), released in 1961. Around this time, Martha auditioned for Motown but was instead offered a secretarial job in the A&R department, booking artists for studio time. When Motown bought the Checkmate division from Chess, Motown named them The Vels, because the group was technically still signed to Chess. They recorded the Gloria-led ballad song "There He is (At My Door)," which flopped as a single on Motown's affiliate Mel-O-Dy label in 1962 (Mel-O-Dy 103). By the time of the single's release, Gloria had left the group. 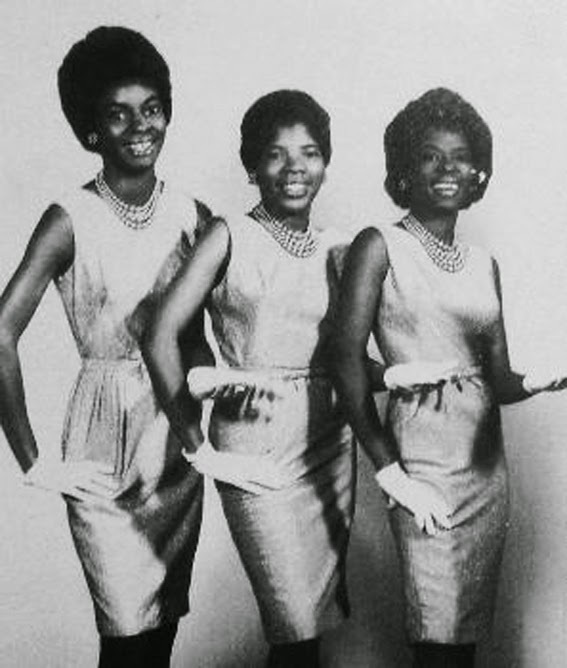 The trio of Martha, Annette, and Rosalind's big breakthrough came in the summer of 1962 when they provided backup vocals for Marvin Gaye's classic "Stubborn Kind of Fellow." Released in the fall of that year, the single made the Billboard R&B Top 10 and made a respectable showing on the pop charts (the girls also lent their vocal support to Gaye's gems "Hitch Hike" and "Pride and Joy"). 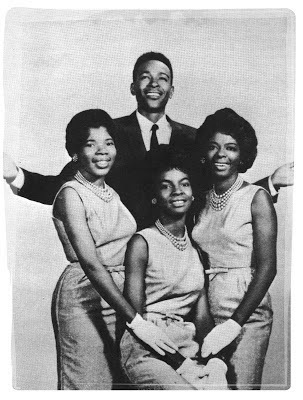 They also backed Hattie Littles on “Here You Come” as The Fayettes in early 1962. 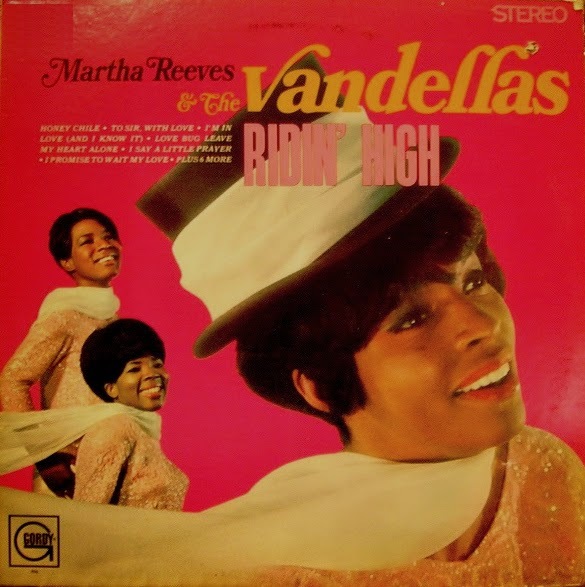 By this time, Martha had come up with a new name for The Vels: The Vandellas, a combination of Van Dyke Street in Detroit and the name of one of her idols, R&B/gospel talent Della Reese (of "Do You Know" fame). 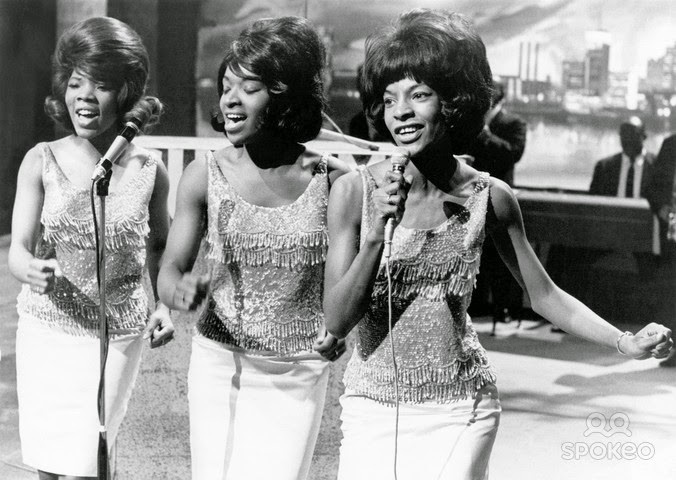 Their single "I'll Have To Let Him Go" (Gordy 7011), originally intended for Mary Wells and bearing the name Martha & The Vandellas, was also released around the same time as Marvin Gaye's single. However, unlike "Stubborn Kind of Fellow," the song gained scant notice. 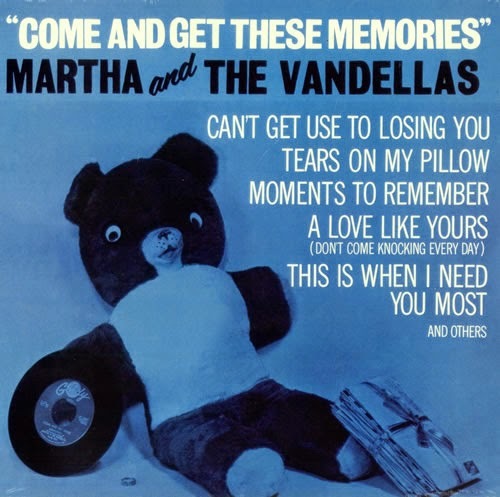 February 1963's "Come and Get These Memories" (Gordy 7014) was a milestone for the group. 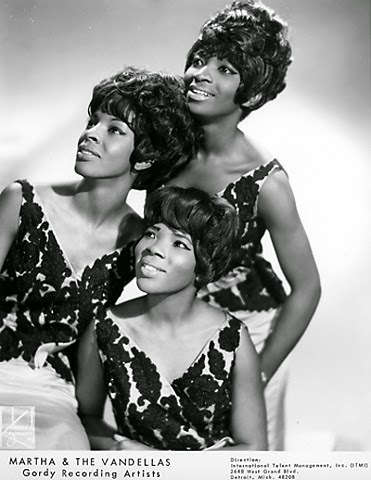 It was the first hit recording by the venerable songwriting/production team Holland-Dozier-Holland, reaching the US pop Top 30 and R&B Top 10, and it also gave the Vandellas their first real hit. 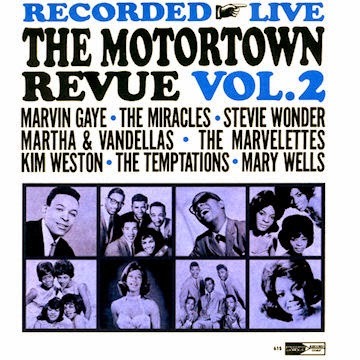 Featuring instrumentation by the inimitable Funk Brothers, the rhythmic tune of heartbreak fronted by Martha's brassy vocals is a staple of many Motown compilations. But nothing would prepare the girls for the huge success of the follow up single "Heat Wave" (Gordy 7022). Released as the third single to bear the Martha & The Vandellas stamp, the frenetic rocker soared to the US Top 5 and capped at #1 R&B. 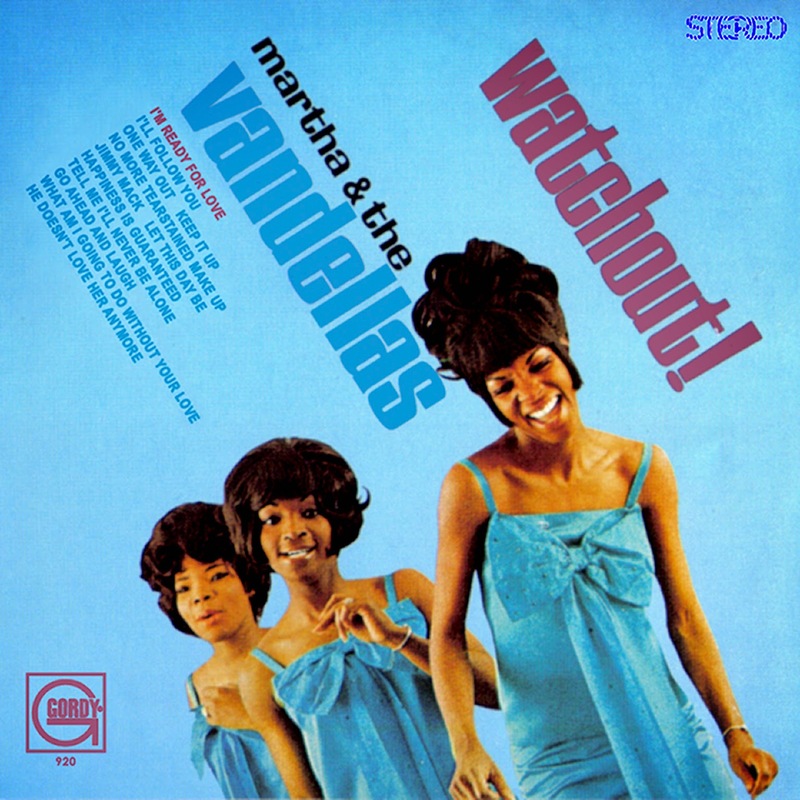 The song established the straight rocking formula of Martha and the gang: a lethal beat enhanced by a muscular bass line, a commanding, gospel-driven vocal, call and response patterns (via the famous "Go ahead, girl! "), ear catching "oohs," and contagious, full-figured instrumentation courtesy of the Funk Brothers. 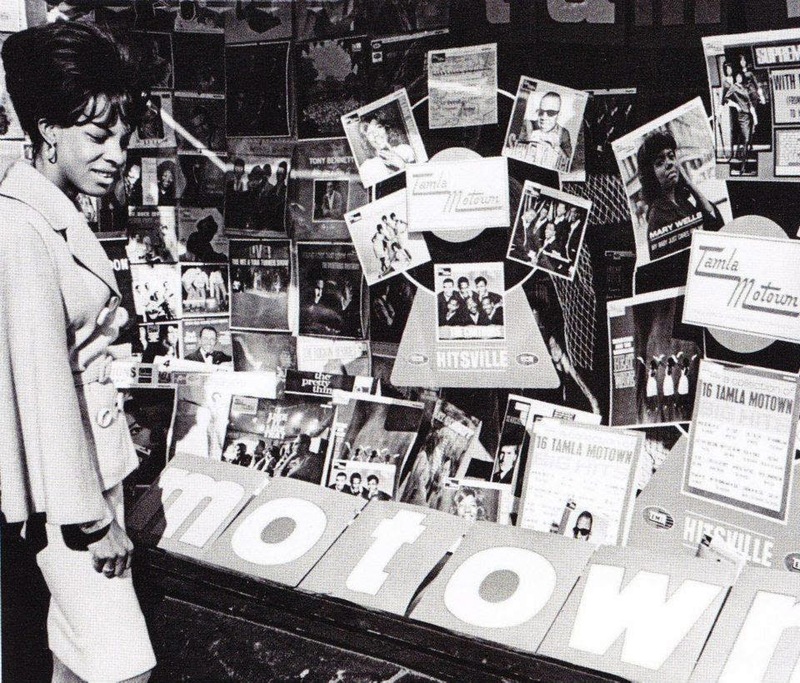 It simply exemplified the early Motown sound. The song received a Grammy nomination and has since been covered by numerous artists and featured on many compilations. "Quicksand" (Gordy 7025) and "Live Wire" (Gordy 7027) followed a similar formula. 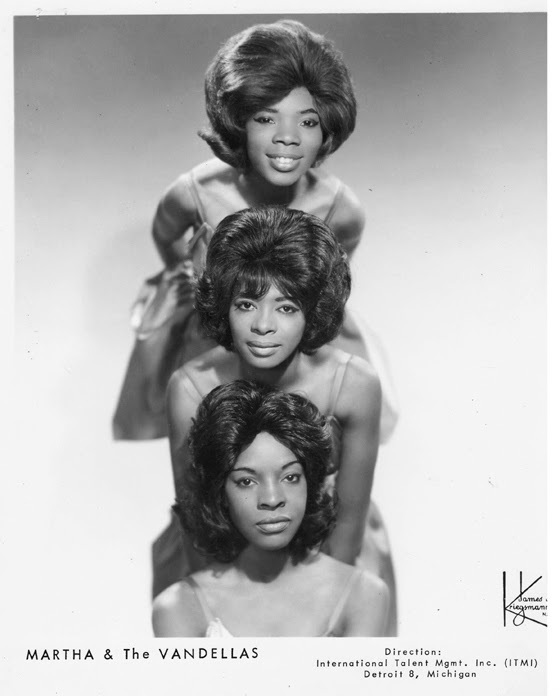 Around this time, Annette left the group to marry and was replaced by Betty Kelly, formerly of the Velvelettes (noteworthy for the Motown chestnuts "Needle in a Haystack" and "He Was Really Sayin' Somethin'"). 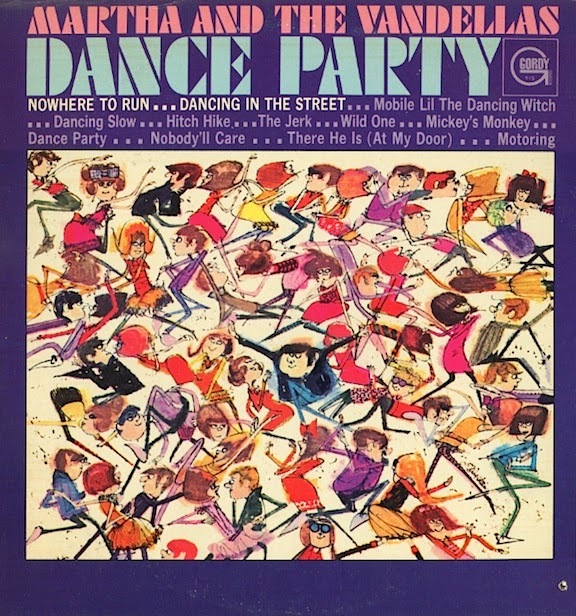 The summer of 1964 brought more wonders once the soul maelstrom anthem "Dancing in the Street" (Gordy 7033), originally meant for Kim Weston, was released. The "dancing" served as a metaphor for protest and later became inextricably linked with the 1967 American race riots. 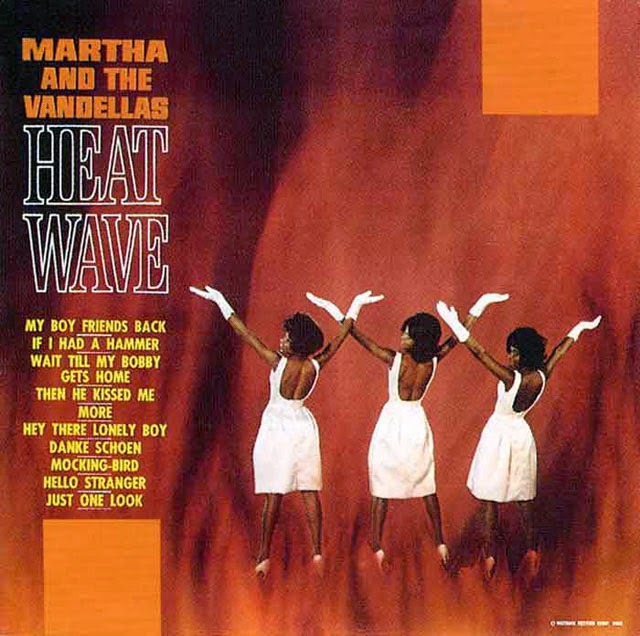 Another worldwide smash like "Heat Wave," including making the Top 5 on the American and British charts, "Dancing in the Street" was critically lauded and became the Vandellas' signature tune. Equally mesmerizing was 1965's infectious pounding wailer "Nowhere to Run" (Gordy 7039), featuring snow chains that served as percussion. 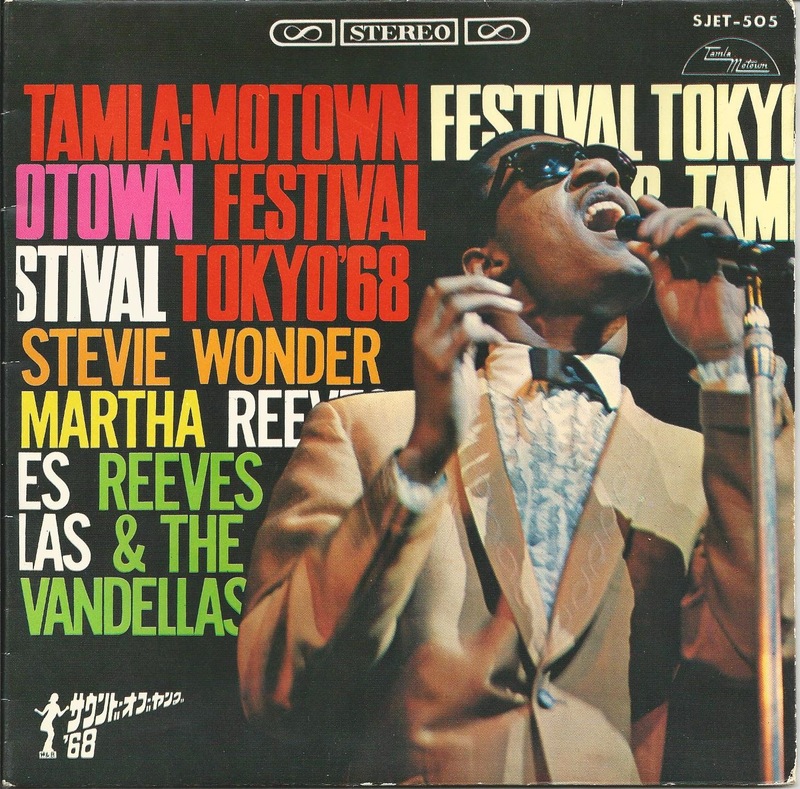 The record was issued just as the group took off for England as part of Motown’s first European package tour alongside The Temptations, the Supremes, Marvin Gaye, The Miracles, and Stevie Wonder, and struck the American and British pop charts. 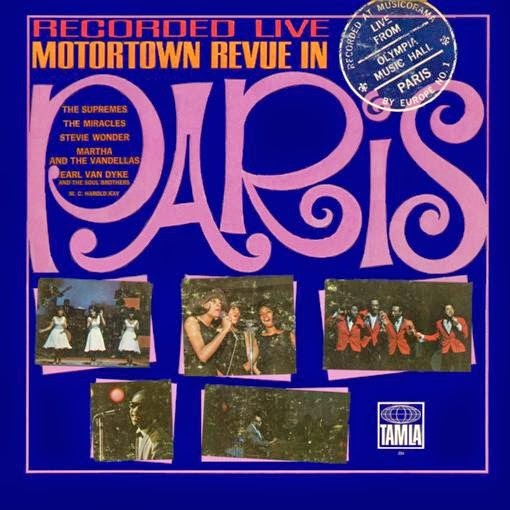 More similarly paced hits continued such as the US R&B and pop Top 10 burner "I'm Ready for Love" (Gordy 7056), and even a solo Martha ballad endeavor called "My Baby Loves Me" (Gordy 7048) in 1966 was a hit, featuring the celebrated primarily Motown session singers The Andantes and the grand group The Four Tops. By 1967, Martha's sister Lois replaced Betty, and the year opened with the optimistic, mellower military march-styled "Jimmy Mack" (Gordy 7058), their final US Top 10 smash. 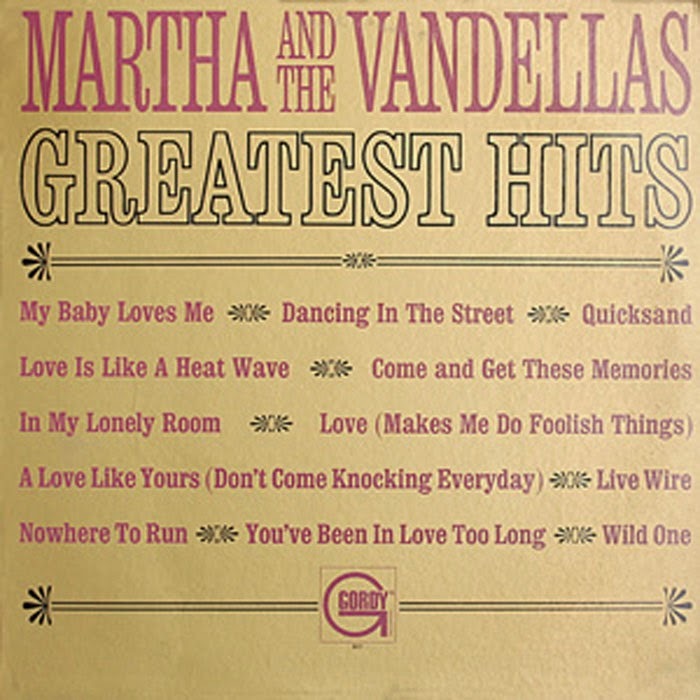 The song was originally cut in the spring of 1964 but was finally unearthed to become another Martha & The Vandellas classic. 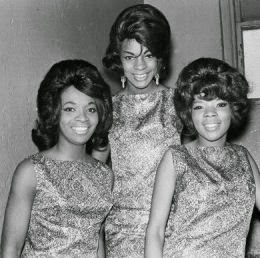 In the fall of 1967, the group's name was changed to "Martha Reeves & The Vandellas" to conform with the company's recent changes of The Supremes' and The Miracles' names to reflect their featured lead singers. The Southern-drawled "Honey Chile" (Gordy 7067) was the first single to demonstrate this, and it became the group's final major hit, narrowly missing the US Top 10 (#11). Afterwards, success began to go downhill: "I Can't Dance to That Music You're Playin'" (Gordy 7075) in 1968, 1969's "(We've Got) Honey Love" (Gordy 7085), and 1971's "Bless You" (Gordy 7110) were modest US pop and R&B charters, the latter being the girls' last UK Top 40 hit. 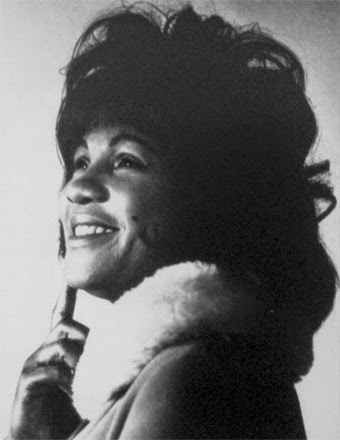 During this period, Martha suffered a breakdown and became seriously ill. She was stunned to learn of Motown's move to Los Angeles and fought a legal battle with the label to be released from her contract. Rosalind left the group in 1969, only to be replaced by former Velvelettes star Sandra Tilley, who stayed with the group until the end. "Tear It On Down" (Gordy 7118) became the Vandella's last chart entry, missing the US Top 100 while only becoming a mid-sized R&B hit in 1972. On December 31, 1972, Martha Reeves & The Vandellas performed a farewell concert at the Cobo Hall in Detroit before disbanding in early 1973. Martha ventured into a solo career and scored a relatively minor chart success with soul legend Joe Simon's "Power of Love" (#76 US, #37R&B). Though her early solo efforts were critically acclaimed, especially in soul music circles, none ever matched the success of her Motown heyday. Her other singles such as "Wild Night," originally by singer-songwriter mastermind Van Morrison, and "Love Blind" were relative chart failures. "My Man (You Changed My Tune)," "Higher and Higher," "The Rest of My Life," and even a cover of the timeless "You've Lost That Lovin' Feelin'" failed to receive any attention. 1978's "Love Don't Come No Stronger" and the disco tune "We Meet Again" seemed to be the last straw for Martha by decade's end. In 1978, Martha Reeves and original Vandellas Rosalind Ashford and Annette Beard reunited at a Los Angeles benefit concert for actor Will Geer. Martha’s last LP up until that time, 1980's Gotta Keep Moving, and a single from the album, "That's What I Want," both bombed. 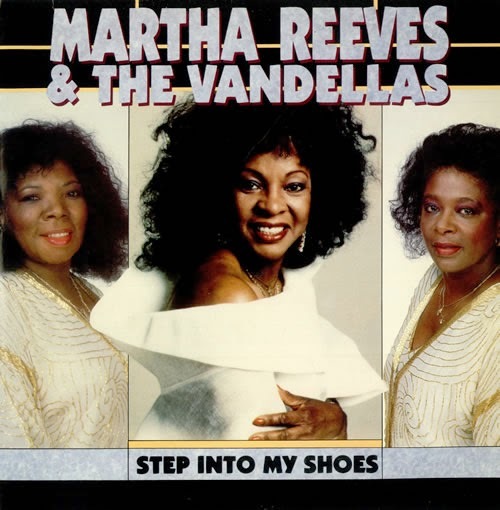 The '80s and '90s were dotted with reunions by Martha, Rosalind, Lois and Annette, and even a new single credited as Martha Reeves & The Vandellas called "Step Into My Shoes" was released in 1989, a funky soul number co-produced by the legendary Ian Levine, ut the song failed to gain much attention. In 1983, Martha successfully sued Motown for back royalties and later had a book published in the 1990s about her life called Dancing in the Street: Confessions of a Motown Diva. In 2001, she released her first album after two decades and in 2005 became a member of the Detroit City Council. 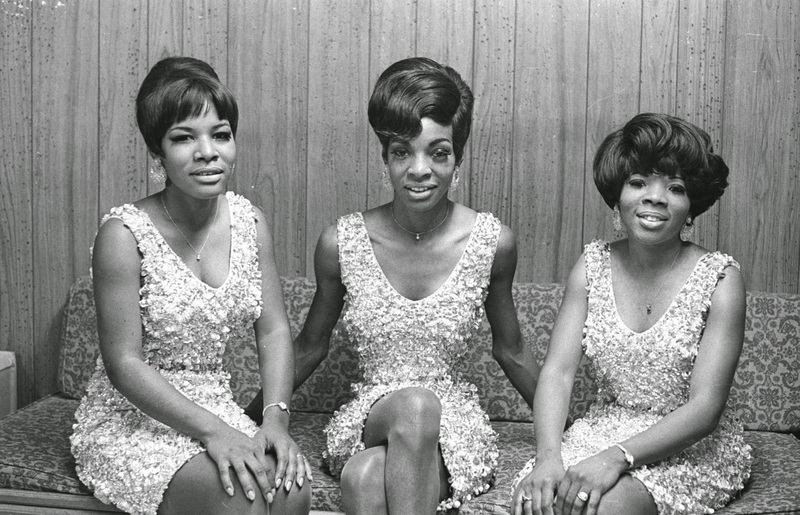 After the Vandellas' split, Reeves' sister Lois sang with the group Quiet Elegance and also sang background for Al Green, while Tilley retired from show business in the late 1970s, suddenly dying of a brain aneurysm in 1981 at the age of thirty-nine. Gloria Williams passed away in 2000. 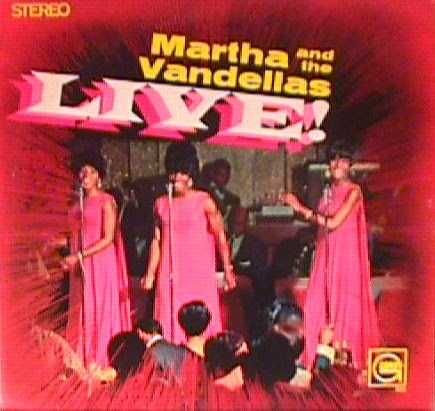 Although Martha & The Vandellas had their moment to shine in an important era of music history, their triumphant and trailblazing mark on the face of pop music continues to resonate for years to come and will continue to keep people dancing in the street to the explosive heat wave of their music that embodied and defined The Sound of Young America.